Designers don’t follow a secret rule book. There are no hard and fast laws governing what we do. We are creative types by nature and love to imagine, dream and explore, following our intuition. That said, there are some rough principles that guide us to ensure a great result every time. They are just tried and true things that work. And these aren’t tricks or skills that take years to master. Anyone can do them from day one. 6. Create a focal point. There are leading roles and supporting cast members in any production. The same holds true in design. Choose your star and make it the focal point to anchor a room. Allow other items to take a secondary role. Don’t ask everything to have a leading role; it will just result in visual noise.Your focal point might be a dramatic hood in the kitchen, a mantel and art piece in the living room or a headboard in the bedroom. Whatever it is, choose something that will draw attention. In this room the fireplace and the lighting work together as a collective focal point, bringing your eye right to the center of the composition and anchoring it there. 7. Consider sight lines. Your focal point should be free and clear from one room to the next, so that it feels like you’re being drawn between them. That’s why the best spot for a focal point is usually directly across from the entrance to the room.Here a seating arrangement around artwork draws the viewer into the room because the sight line is clear. 8. Edit your collectibles. Don’t hang on to a piece that just doesn’t fit. I don’t care if your great-aunt Sally gave it to you. If it’s not working for you, then find a new home for it (maybe in a different room).The unifying theme here is the use of black in the utilitarian pieces. The balance is almost perfect. It reminds me of something Coco Chanel said about accessorizing: “Before you leave the house, look in the mirror and take one thing off.” In design, know when to stop. 11. Be bold. Personality is what makes a space great. Make your own statement and have fun. The more you try, the more you will begin to see what works and what doesn’t.Incorporate unexpected elements for drama. The unconventional ottoman seats, library-style bookshelves and oversize chandelier here are all unexpected in a conventional living room, but the result has charisma. Eschew expected pieces and interpretations if you want a room that will really wow. 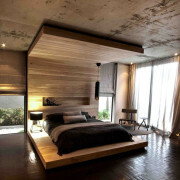 Best Interior Designers . We Can Help You . Are you thinking of updating a room or undertaking a bigger project? If so, our team of interior designers would love to help you. 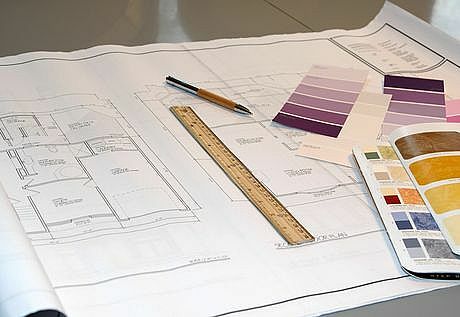 No matter how big or small the job is, one of our qualified designers will help you make the process incredibly easy and ensure the project runs smoothly. 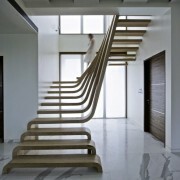 At ADLER, our Interior Design Service is completely flexible. Enjoy a free in-store consultation to discuss your requirements, then choose either our ‘By Room’ or ‘Whole House’ option. Our ‘By Room’ service is perfect if you have one or two rooms you would like to redecorate, whereas for larger projects of three rooms or more, select our comprehensive ‘Whole House’ service. Our goal is to create exceptional and functional environments for both commercial and residential spaces. Commitment not only lies within these goals, but in how well these goals are executed. Collaboration with architects, builders, craftsmen and trade professionals enable our firm quality results for all projects. Respecting all budget sizes and deadlines are critical to our success. Design begins with a vision and our personal approach will assure client satisfaction. ADLER Interior Design Group is fortunate to incorporate a team of talented and experienced professionals for both commercial and residential projects. We interact in a network of key vendors, trade professionals and retailers to ensure an unrestrained range of styles and project scale. Our team attends current trade shows to provide the latest products and trends. We offer a variety of design services from consulting to turn key project management. 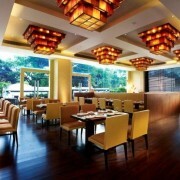 We are grateful for every client that entrusts us with their project. 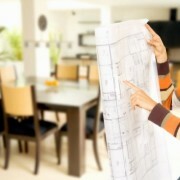 Planning to redesign your home in gurgaon ? Call us today. 1. 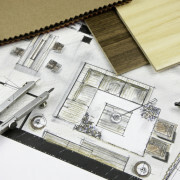 Decide on a concept for your home first. 2. 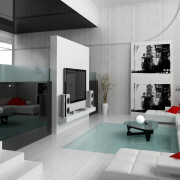 If it is a rental house, get permission from your landlord before making interior modifications. 3. Think about an effective work flow. Painting must be done first, followed by changing wall plates and light switch covers. 4. Don’t purchase lights online. First, compare the weight and brightness of your options at offline stores. 5. 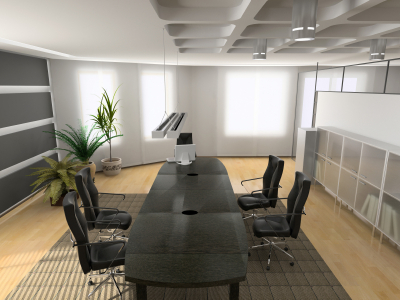 Hire a professional interior designer for jobs that are too difficult. There is no doubt that retro trends in furniture are back in a big way! Have you ever heard if you save your clothes or furniture for 20-30 years the styles will come back in fashion? While this may be true, sometimes the styles don’t come back in the same exact materials, colors or execution of the design but the original intent does resurface. Furniture design is similar to fashion in that designers gain inspiration from the past and fuse it with modern details and inspiration. If you are looking to “update” your home with retro furniture but don’t know where to start, take a look at these 10 hot trends that are sure to modernize your home in a throwback way! Retro furniture is all about digging into the past eras of design styles and choosing the ones that you loved the best. Many homeowners like to choose mid-20th century modern furniture that focuses roughly from 1930’s – 1960’s. While there is still a trend for 70’s and 80’s periods as well, decide what characteristics you enjoy and that fit your design style. The furniture of each era have their share of patterns, colors, finishes and pop culture appeal that will resonate with every homeowner differently. Many homeowners choose furniture from the inside out, while others prefer to let the architecture of their home help decide their furniture options. This is perfect for homes that love to mimic streamlined retro furniture to counterbalance expansive windows and views. Many architects over recent eras were also furniture designers. Dig into history to find out if your favorite architectural style would complement your furniture too! Whether you love the retro metal arc floor lamp with the big lampshade that was popular in the 1970’s gracing everyone’s living room or you prefer the introduction of aluminum into wall and pendant fixtures of the late 1960’s – lighting was an integral part of retro furniture decor. Look to your favorite lighting manufacturers for lighting reproductions for your ceiling, walls, floor in every retro style imaginable. Kitchens have come a long way in design over the years and retro appliances and vintage furniture that recreate a scene from your favorite greasy-spoon diner are a wonderful and nostalgic trend. The 1950’s style of family diners with high contrast color booths, metallic finishes, and the feeling of hanging out at the local neighborhood diner can be recreated in your kitchen today. Andy Warhol’s pop art pieces with high contrast colors in your kitchen tiles, flooring, furniture mixed with stainless steel appliances or pastel colored appliances will make your kitchen sing. Have you noticed the infamous 60’s inspired sunburst mirrors are gracing the walls of your latest home interior magazines along with retro clocks, eclectic collections of dishware and more? If you’re not sure if you want to take the full plunge into a retro-inspired decor or if you’d prefer to keep it subtle, try adding accessories throughout your home. Choose colorful vintage metal tins to add nostalgia to a side table and try shopping your favorite yard sales and online artisan communities for wonderful retro accessories. Many home furnishings companies have reproduction lines that recreate the nostalgic and retro looks that we all love. If you decide to use authentic period furniture from garage sales, hand-me-downs or from vintage stores, ensure you are safe when painting, refinishing, or changing the look of old furniture. Especially children’s furnishings can have lead based paint, toxic varnishes and also can have safeguards that are not in place as modern children’s furniture. Keep this in mind if you’re refinishing old furniture or plan to buy children’s cribs, changing tables and other adolescent furniture. Outdoor living, especially on the front porch was a way of life for many homeowners during midcentury years and bringing retro styled garden furniture to your front porch is one way to re-live those years. Metal or heavy gauge steel garden furniture in pastel hues or vibrant color palettes are perfect for your outdoor home. Add a modern appeal with all-weather seat cushions in fun patterns like florals, stripes, or polka dots to bring back the days of drinking ice cold soft drinks from a glass bottle with a straw on the front porch and watching the world go by! Nothing says vintage like high contrast colors and textiles, especially in your bedroom. The 70’s were a wonderful era of lava lamps, high voltage prints in bold and dynamic shapes and orange, green, purple, turquoise, and yellow were favorites among home and fashion designers alike. Bring a taste of retro styling into your bedroom with upholstered headboard made from velvet, velour, and pair accents decor with pops of color in accent pillows, shag rug and a eye-popping accent wall of color! What bedroom won’t look psychedelic with these pairings? If you don’t have a specific era of furnishings that you love, consider getting inspired by your favorite color of appliance, sofa, lamp or even wall artwork. You will be surprised how an entire room can draw inspiration from standalone color. Who wouldn’t love these turquoise appliances in their retro kitchen? In recent years there has been a reemergence of retro television, movie, fashion, automobile and all design industry fields have seen vintage charm. If you are stumped on how to choose retro furniture and inspiration, surf the internet to your favorite pop culture icons. Everyone from celebrities to everyday people are bringing out vintage finds and changing the world with them. We’d love to know what retro styling inspires your vintage home! for a free quotation call us on +91 9971170911 ,+91 9910733911 now. The painting, decorating and interior design . 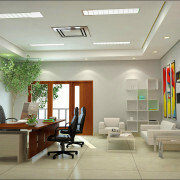 Office design is essential in creating a productive and pleasant environment. Here’s how to do it without a design firm. 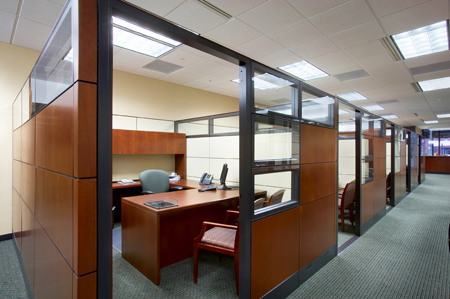 To improve the amount of natural sunlight within an office, create an open environment by tearing down interior walls, using glass walls for private offices and benching desks instead of claustrophobic workstations. “Keep things tidy. It’s amazing how quickly a neat and tidy office can turn into hurricane zone. “Putting it on a feature wall is a simple way to create visual interest. Carry any identifying factors through the space, be its color, a shape or idea. If your company is based on the fact that you are a small, but modern business, make sure that the furniture and lighting send the right message. No one is going to believe that you take your company seriously if you say you are modern as you sit on a flowery Victorian couch you inherited from your grandmother. It is all about the message and the image telling the same story.